Browse through a large variety of wedding party entertainers in New York, and find ones that will best fit your budget and your needs. We've provided you with all types of talented wedding entertainers in New York, who will gladly liven up the moods of every guest at your gathering. Add a Hint of "Soul" to Your Wedding! 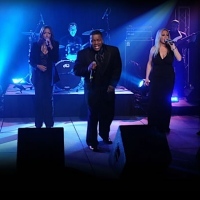 A collection of some of the most talented singers and musicians in the state, New York Soul is a group of NY wedding entertainers that you do not want to pass up! The entertainers have performed for such high-profile artists as Enrique Iglesias, Britney Spears, Patti LaBelle, P. Diddy, Donna Summer, Frankie Valli, Hall & Oates, Kool & the Gang, Cyndi Lauper, and Branford Marsalis. All of New York Soul's performers are graduates of the best music schools in the country. What differentiates this band from other wedding entertainers in New York? New York Soul will not only bring wonderful music to your gathering, but will also blow you away with its elaborate stage presentation. Whether you're interested in the latest contemporary hits, classic disco, funk, classic rock, soul, standards, swing music--or all of the above--these talented performers are guaranteed to liven up your gathering.